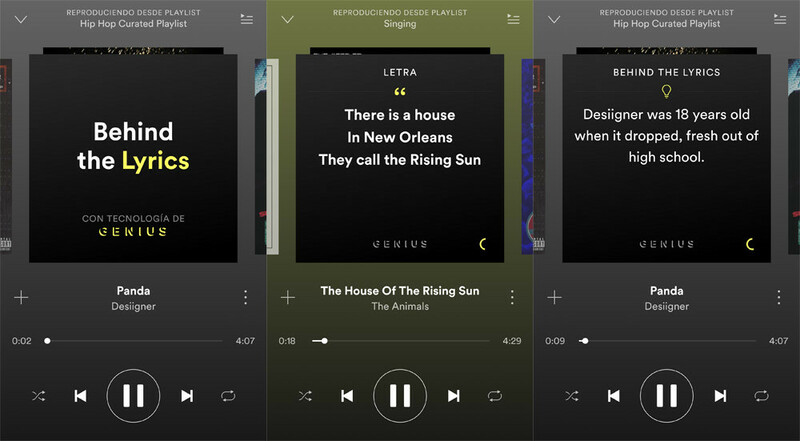 Spotify and the Genius is allied in the past year to bring the iOS version of the popular music streaming service the ability to add extra information to the song that was playing. In this way, while listening to a song, the user can know extra information about your favorite subject. 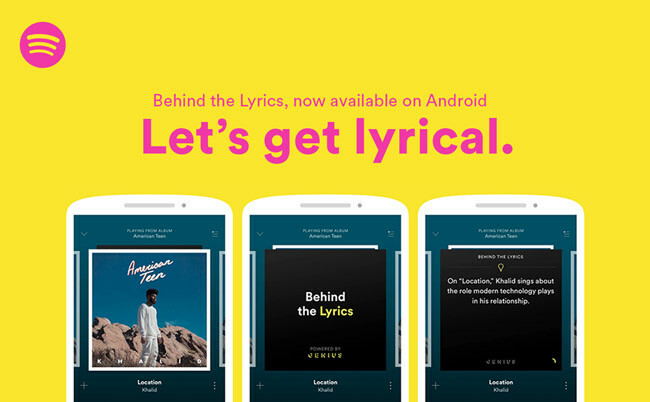 Finally, Spotify has brought to the Android users this function which is called by ‘Behind the Lyrics’, and that comes shortly after the integration of the streaming service in Waze. Of time is not available in all songs, but rather in a series of playlists that can be accessed from already. This function has been very well received by millions of users from Spotify on iPhone to be able to know in-depth the real motives by which those songs are written. So from today you can access this feature on Android with playlists Behind the Lyrics: Hip Hop and Todays Top Hits. The topics in these lists include trivia, lyrics of the songs and the stories that come from the artists themselves. you will Only have to play them to learn more of your songs and favorite singers. Even the artist Khalid has added this capability on their new album, American Teen. In this way, while playing some of the songs, it will be growing all kinds of information at the same time as the letter. A special way to increase the great sound experience, which already offers Spotify. The news Behind the Lyrics’ Spotify already on Android: letters and curious details of the songs of your favorite artists was originally published in Xataka Android by Manuel Ramírez .